The desire to create dry land for real estate development results in the infilling of Phnom Penh wetlands. Ksach Phnom investigates this all too common practice and offers an alternative strategy, urban aggregation. Ksach Phnom functions as an assemblage from which a multitude of arrangements might emerge. 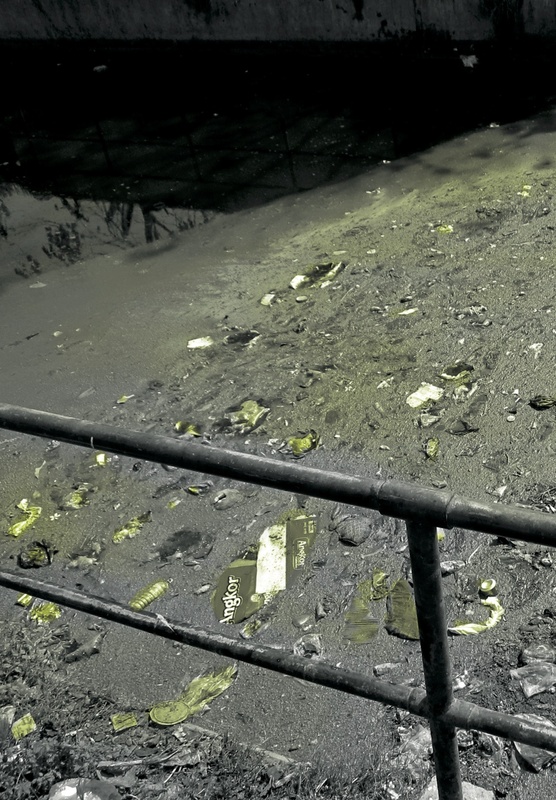 Ksach Phnom investigates the infilling of Phnom Penh's wetlands—a common practice due to the government’s desire to create dry land for real estate development. I explored the spatial effects of this infilling across the whole river region. I then focused my attention on the controversial filling of Boeung Kak—the largest urban wetland in the Phnom Penh, now a sand pit. Only a few years ago, it was a lake with villages and small businesses. The sand remains today because the new city is unbuilt and there is uncertainty over the future of the lake once again. Ksach Phnom takes advantage of this liminal state. 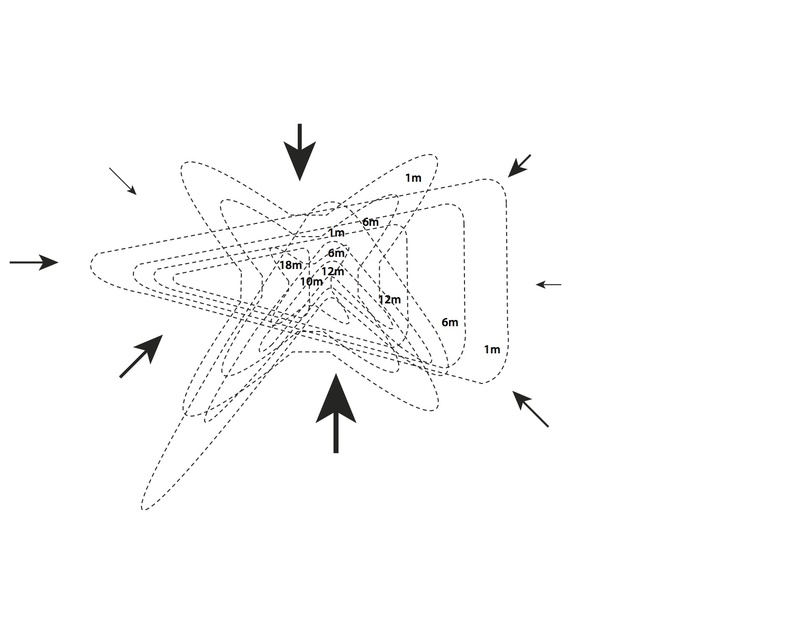 wind analysis, marco roël rangel, 2013. Study of how sand and wind might form different shapes over time. aggregate units, marco roël rangel, 2013. 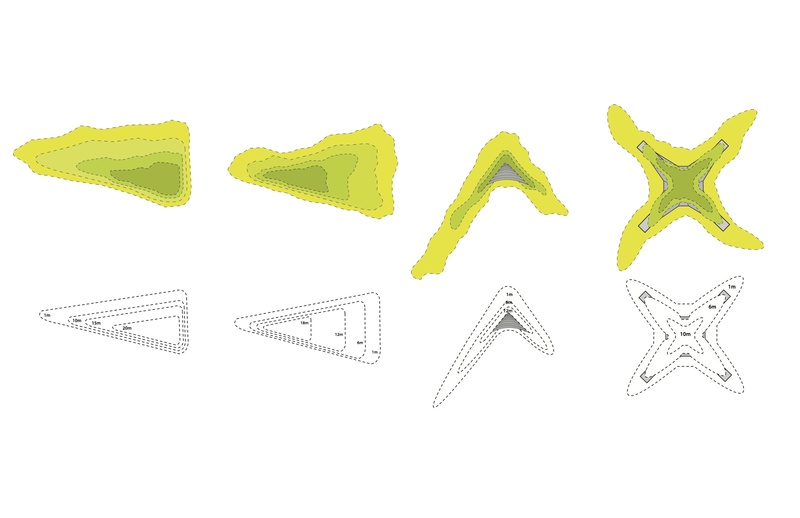 Four sand forms that shape public space. My project embraces a mode of organization that I refer to as urban aggregation. The objective of aggregation differs from that of a master plan; it is not a comprehensive plan but a single aggregate unit from which various arrangements might emerge. Consequently, urban aggregations are open for interpretation. patch analysis, marco roël rangel, 2013. Time sequence illustrating the discplacement of lake water by sand. untitled, khvay smnang, 2011. Digital C-Print. 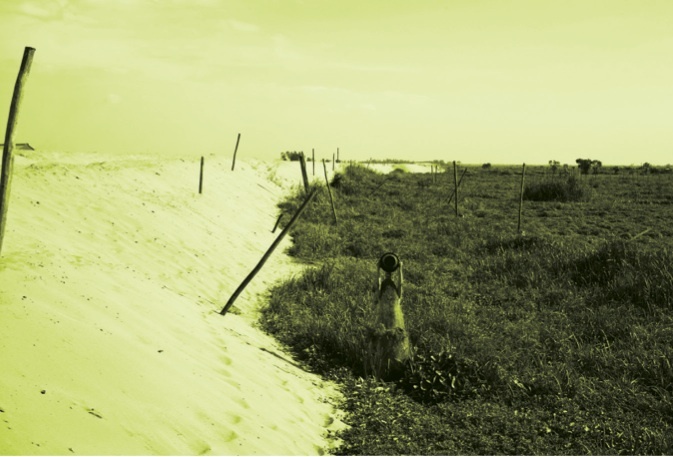 sand analysis, marco roël rangel, 2013. 01 Boeung Kak. 02 Diamond Island. 03 Boeung Tompun 04 Bomb Ponds. I imagine sand forms as power bodies. 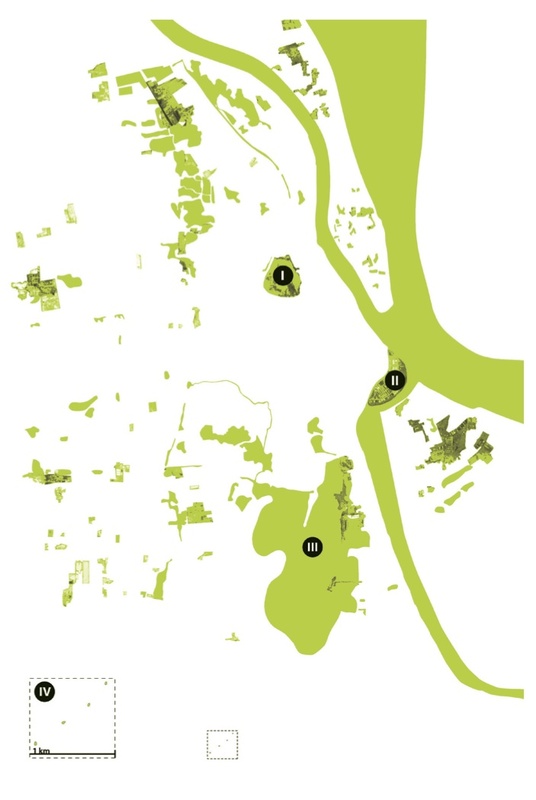 They support dialog regarding the city-river region as a living system. I also see sand forms as units of aggregation that can be replicated in sites with a similar fate. Inspired by Vandy Rattana’s photo series, Bomb Ponds, and Khvay Samnang’s Untitled performance regarding sand infilling, I propose that the government bring back room for water. The resulting sand could be formed into shapes inspired by existing megaforms—including Wat Phnom, Central Market, and the National Sports Complex or Olympic Stadium. concrete form, marco roël rangel, 2013 This collage explores the interaction between stadium seating and a big sand dune. Each sand form has a corresponding concrete form.